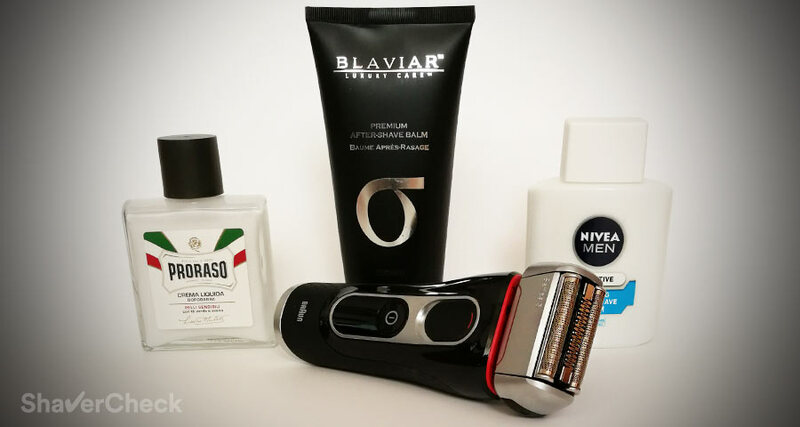 What’s the Best Aftershave for Electric Razors? Applying a hydrating, soothing aftershave balm is likely the most beneficial thing you can do upon completing your shave. Yes, that’s still the case with electric razors. I wrote an extensive article detailing why following-up your shave is still necessary, even if you’re using an electric shaver. keeping your skin hydrated and nourished, especially after shaving is highly recommended. With that said, let’s see what are some of the best aftershaves you can use with your electric razor. What are the hallmarks of a good aftershave? Alcohol free. You should avoid alcohol if possible as it just dries your skin and it stings. No nasty chemicals and preservatives. I’m talking about things like parabens, phthalates, BHA and so on. Lightly scented. A heavy fragrance can irritate sensitive skin and can be overpowering. Soothing ingredients: witch hazel, aloe vera, vitamin A, shea butter, coconut oil etc. I’ve noticed that somehow this idea of an aftershave specifically geared towards electric razors has sprouted. It’s safe to say that there isn’t such a thing. In fact, any quality aftershave will do. If it’s good enough for traditional shaving, it’s definitely up to the task here as well. Let’s not forget that shaving with a razor blade is generally more taxing on the skin compared to using an electric razor. While there are tons of excellent aftershaves out there, here are a few personal favorites of mine to get you started. This is an excellent inexpensive aftershave balm that I use quite often. It’s my go to aftershave balm and a permanent stay in my shaving cabinet. It is very lightly scented, has excellent moisturizing and calming properties and gets absorbed very fast into the skin, without leaving it greasy. Highly recommended. 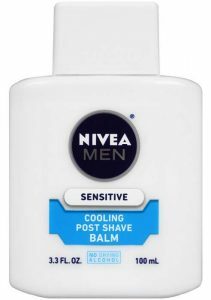 Another excellent product that offers great value for money comes from the German manufacturer Nivea. I find it similar to the Proraso in terms of calming and moisturizing properties, but its fragrance is a little more potent. It has a very nice classic, masculine, barbershop scent that I quite enjoy. But if you have extremely sensitive skin I recommend choosing the Proraso balm as it’s very lightly scented. This was actually my first experience with Truefitt & Hill products and it lived up to my expectations. While it is pricey, it contains a host of wonderful ingredients that will make your skin feel amazing after using it. It’s also paraben free. The fragrance is another highlight of this aftershave: a discreet, citrusy and masculine scent that’s not overpowering and won’t clash with your cologne. Blaviar is a new player on the men cosmetics market that uses only quality, non-aggressive ingredients. Their aftershave balm comes in two variations, Omega and Sigma. 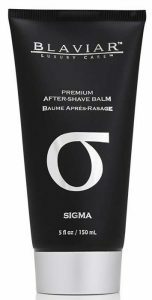 I have only used the Sigma variation and it has a wonderfully woody scent. It has excellent moisturizing and nourishing properties and leaves no oily residues on the skin. I also enjoy using it as a daily face moisturizer. This is a fantastic choice for men with extra sensitive skin. It is one of the most hydrating and calming balms I have ever used and it’s particularly well suited for dry skin. It has a thick, creamy consistency, so a little goes a very long way. I enjoy using it in the winter as it’s very hydrating and keeps my face feeling great during cold, windy weather. Among its ingredients you’ll find witch hazel and aloe vera, two components that I always like to see in a post shave balm. The scent is fresh, clean and very pleasant. Post shave treatment is one of the staples of men skin care. Considering that we don’t put a lot of effort into taking care of our mugs, I think this is a very important step that shouldn’t be skipped. Even if you’re one of the lucky few that can get away without using an aftershave, it’s still a good idea to follow up your shave and apply some. Keeping your skin hydrated on a regular basis is highly recommended and the benefits will be obvious as time passes. Home » Articles & Guides » General » What’s the Best Aftershave for Electric Razors? Can you recommend a product without a scent? I prefer using Eau De Toilette’s and often not in contact with the shaved skin. Would be nice if the scent from the two products mixes. The only fragrance free aftershave I’ve used so far is Ultimate Comfort from Truefitt & Hill and that one is pretty good, but very pricey. 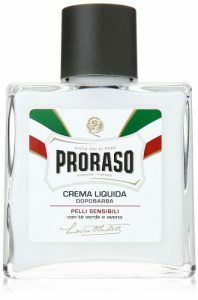 As an alternative, the Proraso sensitive aftershave mentioned in this post has a very subtle fragrance and I don’t think it will clash with your cologne. So many shaving websites seem to focus on men that have either dry or sensitive skin. I have oily skin, it’s not sensitive and I cannot use aftershave balms or anything without alcohol. They make my skin feel warm and greasy, and they don’t refresh at all. I use Aqua Velva in the winter and Mennen’s Skin Bracer in the summer because it has a drier finish. To me, nothing feels better than a nice burning/cooling sensation. Just wanted to speak on behalf of the men who have different needs. I enjoy your site a lot and it’s very informative! Thank you for your comment. You are right, I completely overlooked that scenario. I have both dry and sensitive skin and during hot summer days even I sometimes use an alcohol based splash. The one from Speick works great for me as it doesn’t seem to dry the skin and in my case that’s probably a good thing. I’m a woman who has facial hair, thanks to a metabolic disorder. I have sensitive skin, and am prone to ingrown hairs. I actually get thick, coarse, dark hairs, especially on my neck and jawline. Is there a very calming aftershave product that has a scent not too overpowering or masculine for a woman? From this list the Proraso Sensitive Aftershave Balm gets the closest to your requirements. However, the perception of scent is very personal and you may still find it a bit too masculine or potent. 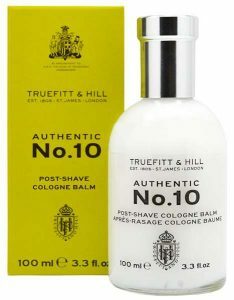 An alternative would be to go for a fragrance-free aftershave balm like the Truefitt & Hill Ultimate Comfort. You are very welcome. The Nivea aftershave should also work for the scalp. You can try the sensitive balm from Proraso, I find it even better than the one from Nivea — more soothing and has a very mild fragrance. I’ve just moved to using an electric shaver and dry shave before I shower. I usually then use a face wash/exfoliator in it. Using an aftershave balm beforehand therefore seems pointless, but would it still be beneficial to use one afterwards? Or would it better to just use a standard moisturiser after showering? That is a very good observation. I recommend applying any aftershave products after showering, in my opinion it would still be beneficial. Feel free to use whatever works best for you, be it an aftershave balm or a simple moisturiser. Also, I would try to avoid washing my face with hot water in the shower as it can cause some irritation. Any experience with Blaviar Epsylon? It claims to add some musk smell to the mix. Appears to be sold mostly on Amazon and not possible to try in stores…Any insight is appreciated. I haven’t tried that one, so I’m afraid I cannot answer your question. Can you recommend any organic, vegan after-shave balms, please? Thank you for your comment, I really appreciate it. Jack Black has a very good aftershave balm that corresponds to your requirements, it’s called Post Shave Cooling Gel. Haven’t personally tried this particular one, but I’ve only heard great things about it. Thanks for your suggestion, Ovidiu!